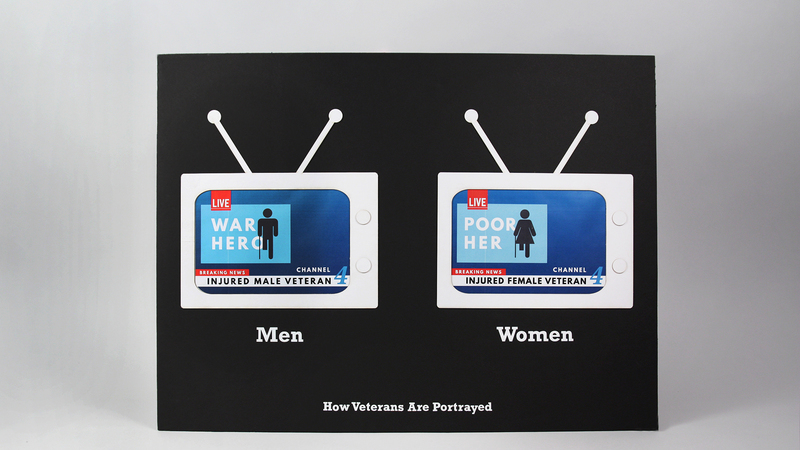 The She Served Project is a campaign and story telling platform aimed at changing the way people “see” women veterans in American society. Conducting user interviews, clustering insights, building physical prototypes and working with the team on final concepts. The US Department of Veterans Affairs (VA) provides patient care and federal benefits to veterans and their dependents. Yet, due to smaller numbers and misconceptions, women rarely receive the same quality service that men do. According to the Pentagon, 14.5% of active force (nearly 14.5 million) in the military are women. A poor experience at the VA leads to embarrassment and lower turnout rates to receive healthcare. 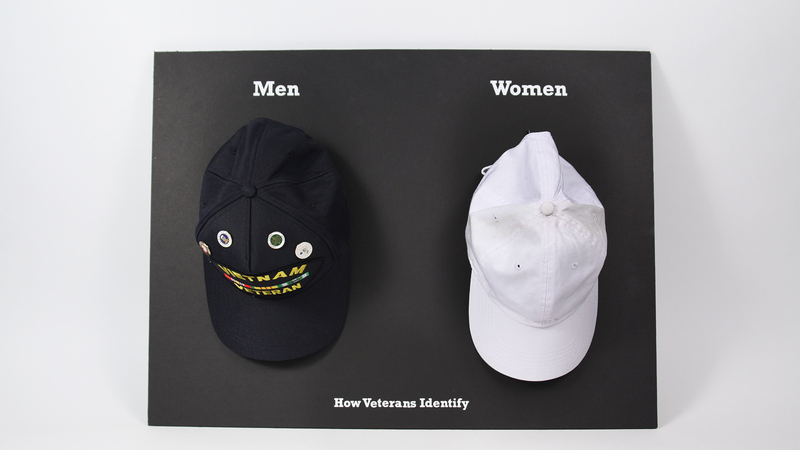 This project used design to examine gender and the military. It aims to improve the experience for women veterans at the VA hospital by changing the social norms that women are veterans too. Establish a new cultural norm that a woman veteran is also a veteran? 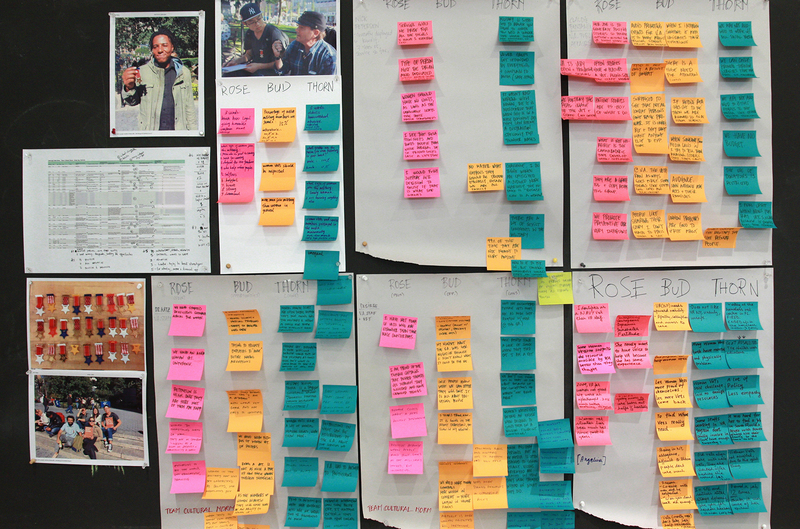 As a team, we explored making some of these insights into tangible prototypes to further investigate them. 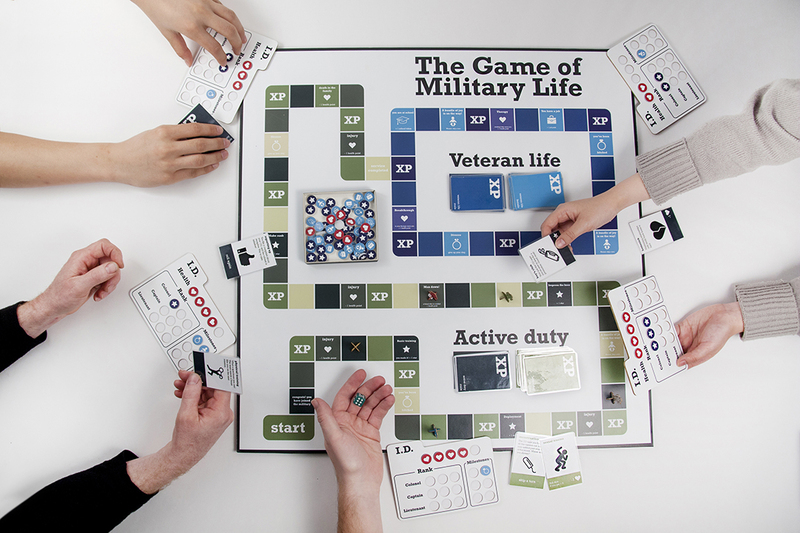 For Insight 2, we designed “The Game of Military Life,” a highly-researched (and playable) board game that takes players through the user journey of Active Duty and Veteran Life. Gameplay reveals countless obstacles. 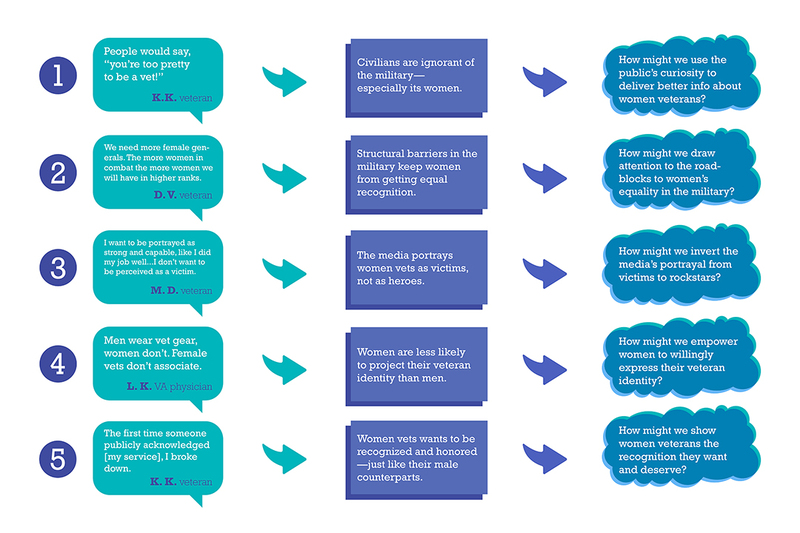 Though women and men veterans have experiences in common, the game quiclky reveals that the deck is indeed stacked against women, and gives the players a glimpse into what they might experience in reality. Our team was very inspired by the Live Strong campaign and bracelets, which together raised both public sensitivity to cancer—along with donation funds for cancer research. 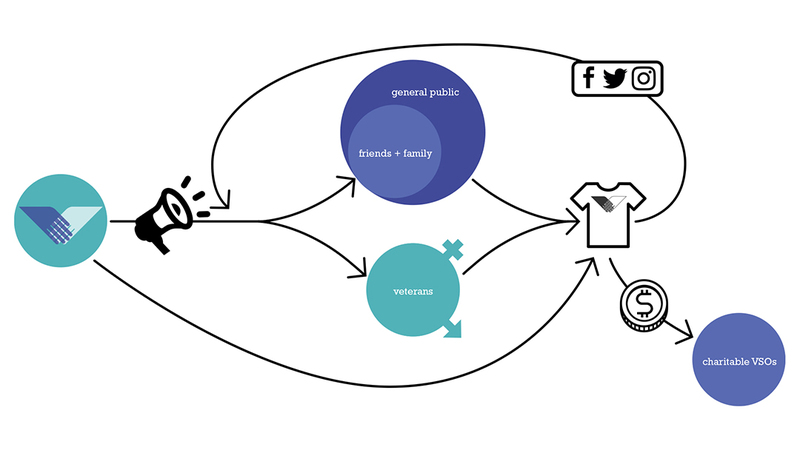 SheServed is an organization that puts out messaging materials to vets and to the public. It's purpose is to spread the initiative and drive sales of branded materials. In turn, the funds collected are given to organizations that support female vets. 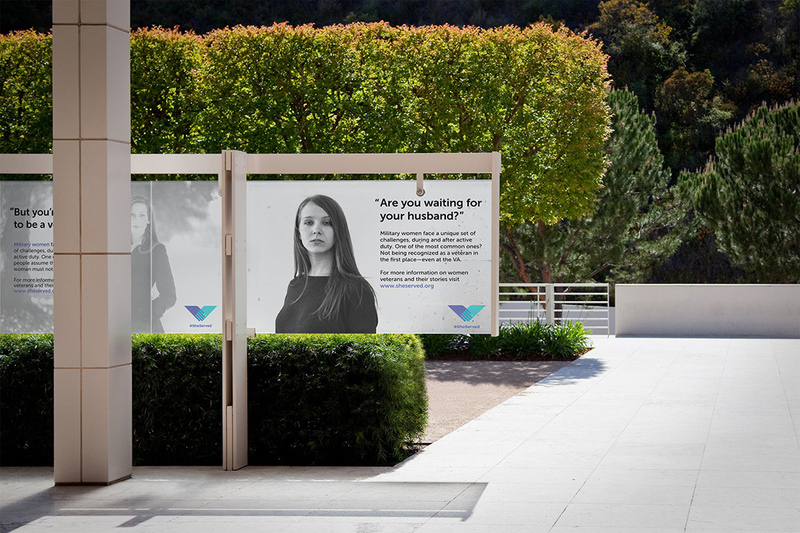 To further drive awareness, we created a set of adds that are strong but respectful. 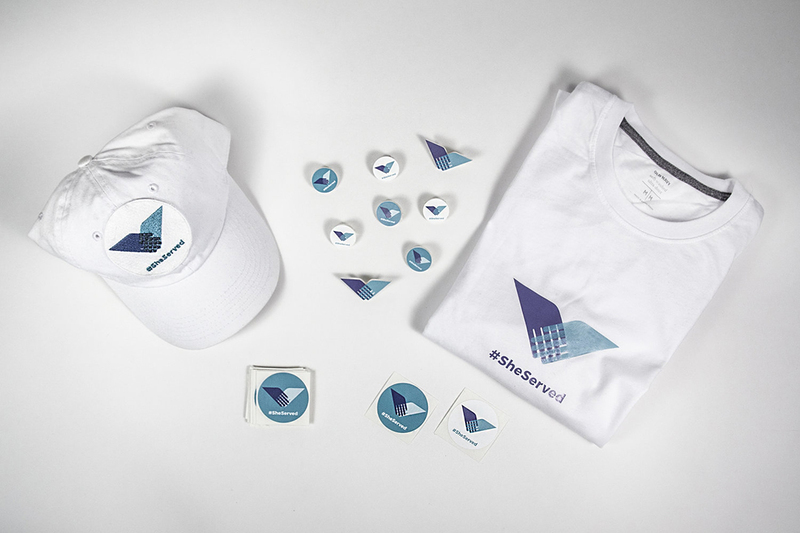 The campaign collateral also gets shared on social media through the #SheServed Campaign, which in turn helps create organic momentum around the campaign and promotes the project further. 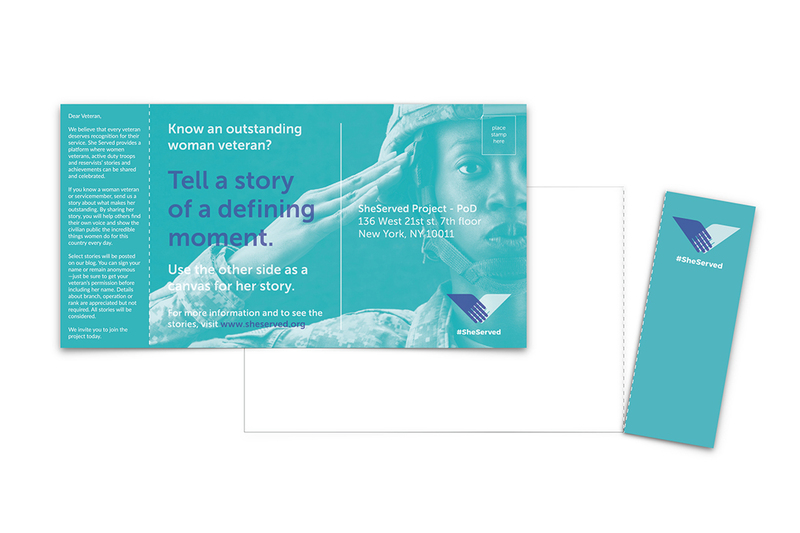 The SheServed Postcard Stories Project provides a platform where women service members’ stories and achievements can be shared and celebrated. The campaign would leverage the military’s team-first mentality to get vets to celebrate their peers. It would empower women vets by showcasing their accomplishments and appreciation, and would also get stories in front of a larger audience by leaning on men vet allies. 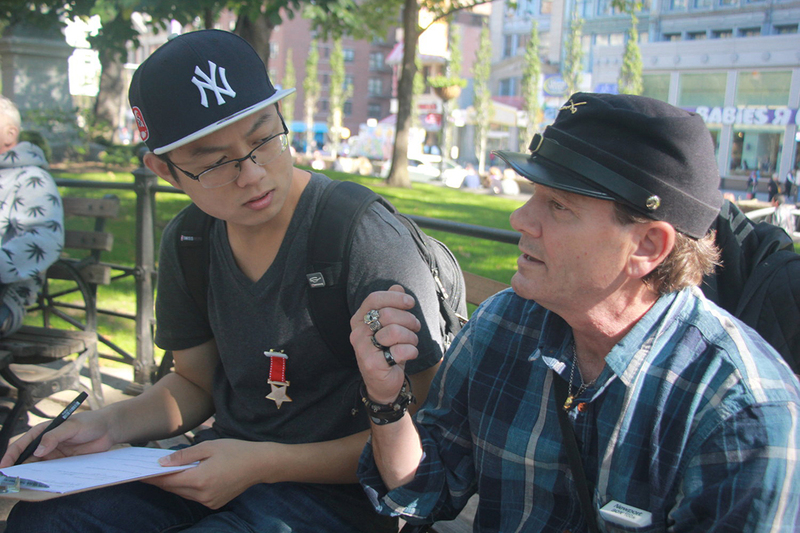 Veterans are sent blank postcards and are invited to respond with a defining story about an outstanding woman veteran they know. The SheServed team curates submissions, publishing select stories on the online platform, and collected in printed books. 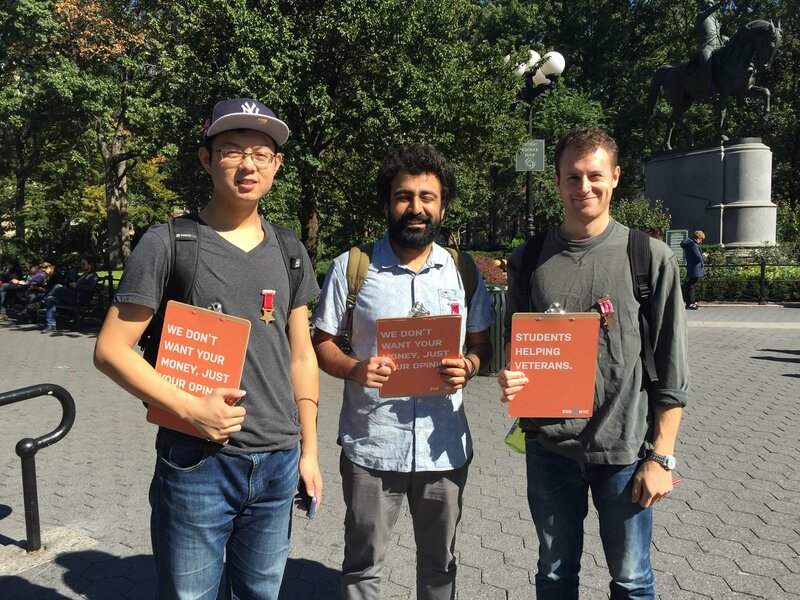 Intercept interview in Union Square Park, clustering insights from interviews, building tangible prototypes to contextualize the problem, storyboarding to key touch points, and branding.